I have a large collection of these charts - the original ones that were issued to record stores back in the day. This one is from this day, February 3, 1962 - 57 years ago. As the days of this year roll by, and as time permits, I'll post a relevant chart from that date, going back to the mid-1950s. 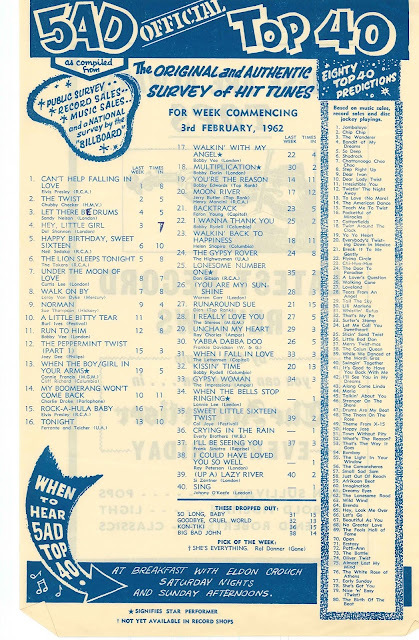 The charts themselves are a fascinating time capsule into the tastes of people in Adelaide at the time, which, when it came buying singles, was driven by youth.